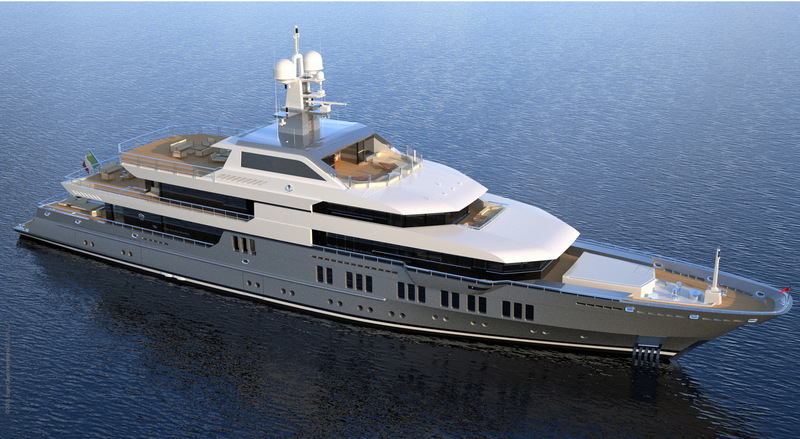 The project was developed on the basis of the easily recognizable footprint of the Stella Maris. The external lines and the engineering solutions revive that which has been both defined and well-tested on the iconic predecessor. 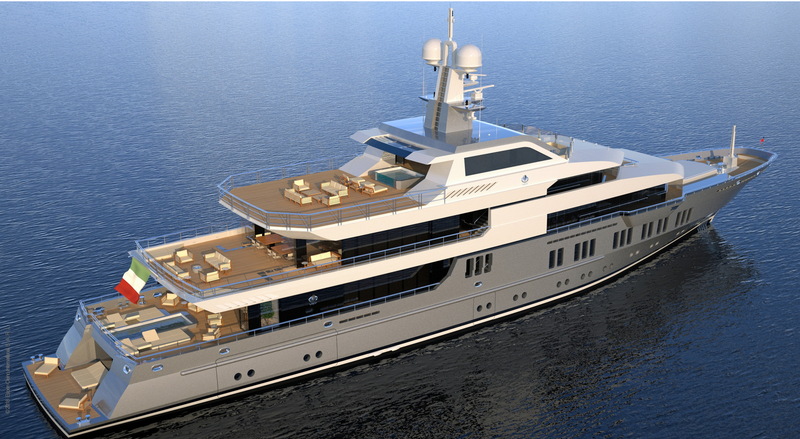 The exterior of the new 75M stands out thanks to specific stylistic choices involving the re-proportion of the two upper decks and the aft platform so as to give more space to the living areas external to the cockpits, both on the main deck and the upper deck. This way, space was created to host an ample swimming pool and an extremely comfortable dining/living area protected by removable windscreens on the top deck. The aft-bathing deck was further extended to provide a generous and lovely platform in the proximity of the sea, which also gives practical access to a dressing area/restroom and a buffet bar, all internal to the hull. 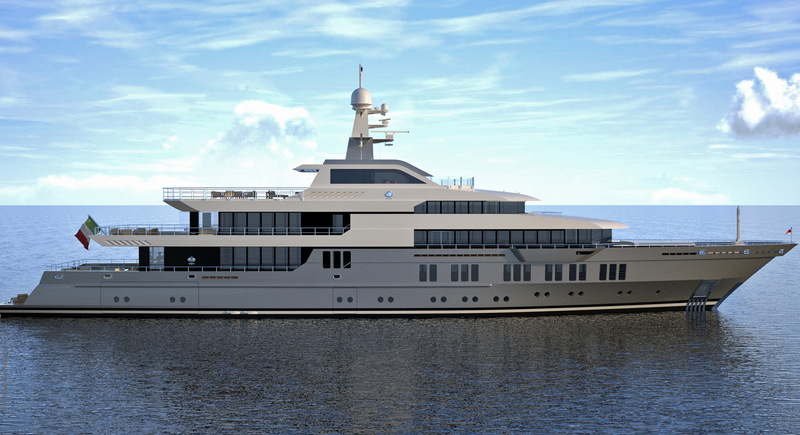 In relation to the layout, as with the Stella Maris, the 75M features notably high environments on both the main and upper decks. · On the under lower deck, the effective distribution of the spaces devoted to service activities and storage, as well as the presence of a “VIP” corridor, which creates a panoramic path through the engine room. 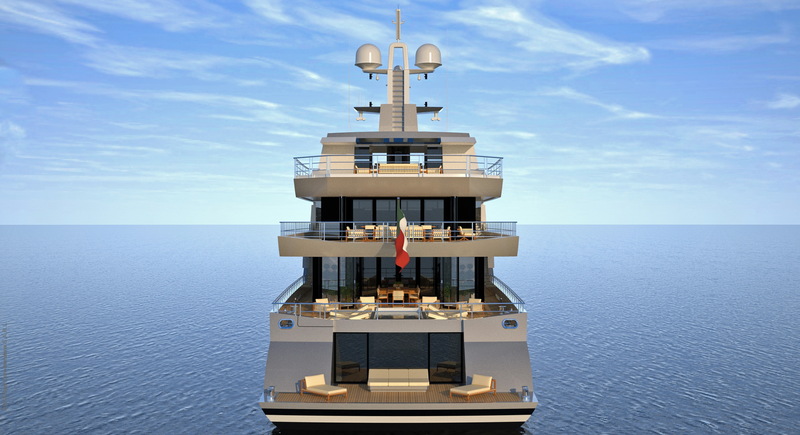 · On the lower and main decks, the inclusion of an additional service staircase in the center of the premium area allows for easier circulation of the crew. 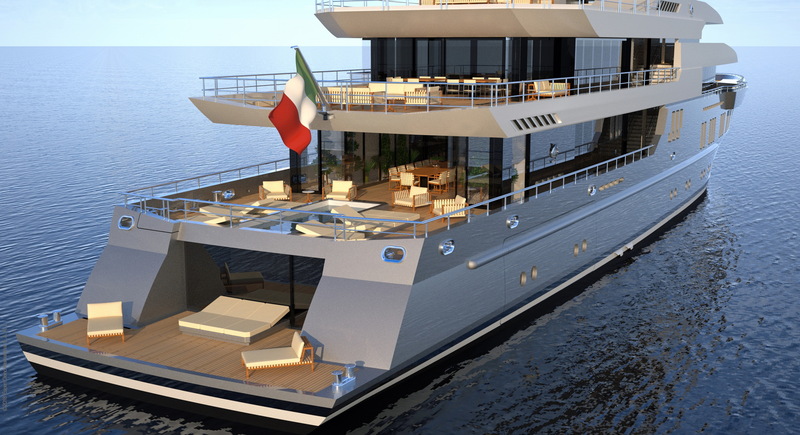 · The presence of a truly reserved owner’s deck, which uniquely features the owners suite, along with two bathrooms and two unusually wide dressing areas. Moreover, the cabin extends forward and opens to a private external terrace. 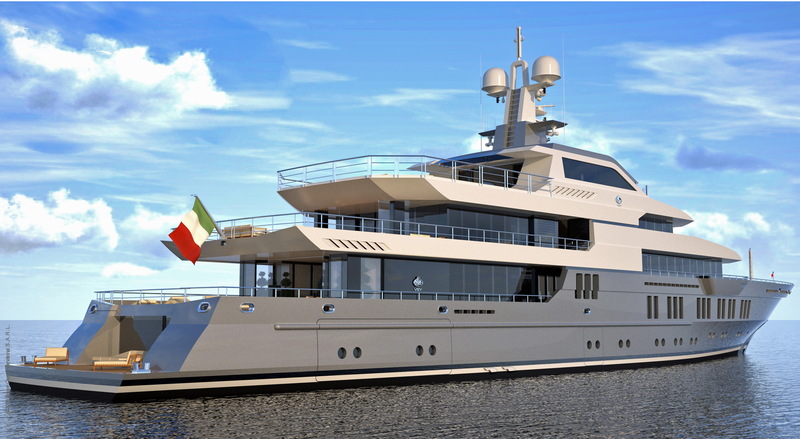 The naval architecture, as well as the structural and engineering layout, are a derivation of the Stella Maris project. The aim was preserving its features as a ship built and geared for long and demanding navigation. The technical specification guarantees the same range, compliance, safety and comfort standards, the efficacy of which was well-tested in real life, constantly demonstrating the quality of the solutions adopted. 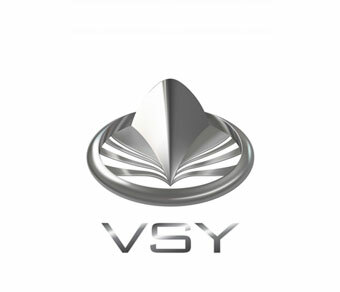 Finally, the future development of the project aims to implement – also on this model – the cutting-edge applications that VSY has been developing in the field of product and process sustainability. 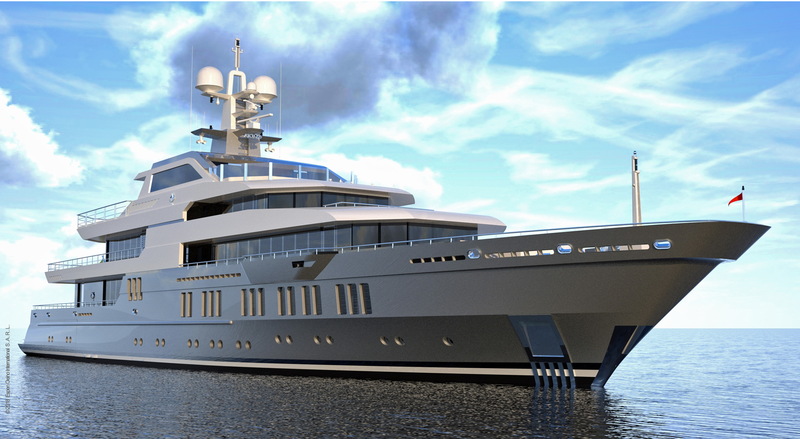 An Integrated Control system will be installed, providing seamless integration of Navigation, Propulsion Control and Ship Automation functionality.